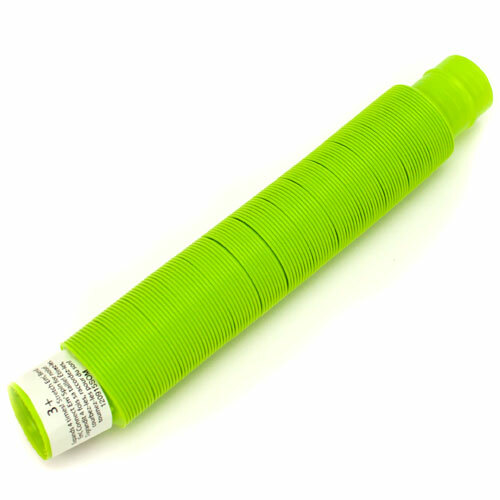 * If you love the original Slinky, you will love this colorful Slinky Brand Pop Toob. 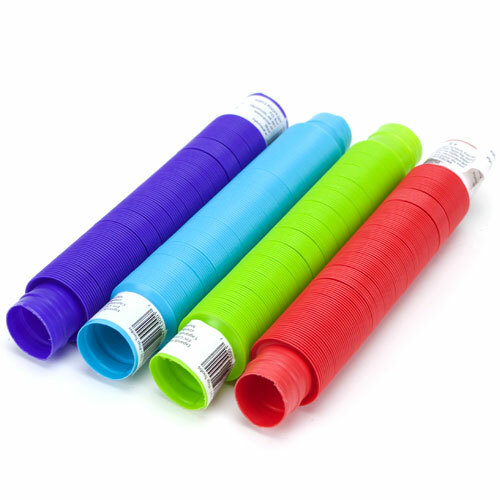 The Pop Toob is a bendable piece of plastic that stretches to nearly four times its original length and makes crazy popping sounds as it is pulled apart. If you twirl the Pop Toob in a circle, it makes a fun whistling noise. * Each toob can be snapped and connected to other toobs to help create longer pieces in different shapes and sizes. Each toob measures approximately 8 inches before it is fully extended. 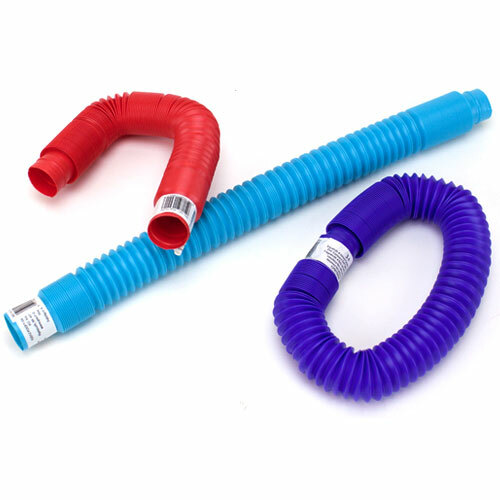 Kids will love stretching these flexible tubes to create necklaces, headpieces and fun shapes. * Pop Toobs make a great party favor, stocking stuffer or carnival prize. Kids will enjoy hours of entertainment bending, twisting and twirling these toobs into fun new pieces. Colors may vary. This item is recommended for ages 3 and up. 7" x 0.75" x 0.75"